Juliana Castaneda grew up in the Colombian capital of Bogota, the daughter of liberal, middle class parents who didn't discourage her when she announced she was going vegetarian at the age of six. Influenced by her aunt Sita, who joined the Hare Krishna movement, Juliana developed her spirituality early on, and like many youngsters with an affinity for animals, she dreamed that one day, she'd have her own farm filled with animals who would live in peace and be respected. As a young entrepreneur, she began working toward that dream, and in 2014, she founded Juliana's Animal Sanctuary. Here, Juliana--who was just named a recipient of the Lisa Shapiro Unsung Hero Award--shares her story, and tells us what it's like to make a lifelong dream come true. Tell us more about how Juliana's Animal Sanctuary about. My dream was always to buy a big piece of land to save all the animals in the world. Of course, I now realize that I can't save all the animals in the world, but my sanctuary shows people how amazing all animals are, and encourage them to respect all animals. At 11, I began saving money for my big dream, selling cookies, cakes, and chocolates at school. By 26, I had enough to buy a small plot of land with the additional help of a friend and a small loan from the bank. The land was just big enough to help some animals. It was a start. My dream became a reality at that moment, and I immediately began rescuing dogs and cats, and visited a slaughterhouse to rescue one cow. Soon after something incredible happened. I heard our rescue cow calling and another cow and making noises in the her paddock. I ran to see what was happening, and to my surprise, there was another cow from the local dairy who’d just given birth to a baby bull. She had jumped the fence to deliver her calf on my property! Maybe this was her female intuition--she knew our farm was a safe place. 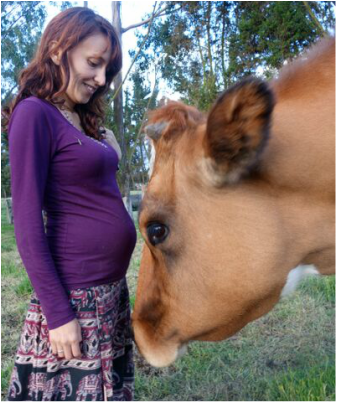 Had she given birth at the dairy farm, her calf would have been taken away immediately. Within minutes, the dairy farmer came to take the mother and calf away. I protested, but sadly, he took the mother away and the calf never got to drink her milk. I became his mother from that moment and bottle-fed him for the next six months. Eight years later, the baby calf is a full-grown 1600-pound bullock. He is as gentle as a kitten. We call him Balarama, which means the "Source of all strength." I can say with confidence that I'm living exactly how I dreamed I would since I was a little girl. It is often not easy caring for so many animals, but it brings me indescribable joy. I sometimes have sad days with challenging rescues, visits to the veterinarian, or dealing with animals who are in great pain or suffering, but the ray of hope is always there and my heart is happy knowing I can help in some small way. It's been almost nine years since I started this project, but for most of my life I have been helping animals in different ways. I estimate I must have personally rescued over 400 animals so far. I usually wake up around 6 am, and around 7.30 am, we begin feeding the animals and cleaning. However, the first thing I do, which is very important, is to say good morning to each of them. I love to come to their place, kiss and hug them, and just welcome them to a new day of freedom. There are three of us on the farm. The manager, Ekala, is in charge of the dogs and cats; I am in charge of the pigs, chickens, turtles, rabbits, and street dogs that we can't officially bring into the sanctuary because they “belong” to people, so we just feed and care for them. My husband, Paul, is in charge of the big animals. After we take care of the animals, we start working on our charity web sites, answering emails, and other related business. My husband directs Food for Life Global, the world’s largest vegan food-relief program, and I direct the sanctuary. We help each other to raise funds for each charity, create awareness, educate people, and promote the work of the volunteers. There is always something new to do—a new animal to rescue or a new emergency to respond to with vegan food. We never stop serving. Service is our life. At sunset, so we start the last “ritual” of the day. I call the street dogs and they sleep in secret in our garage, where I made some beds out of hay and blankets. I check to see that everyone has water, and bring in all the animals who need to sleep inside, like our baby pig, Perla, and the turtles Pancrasia and Rafaello, who are 25 years old! The routine changes if we have to travel. Then, Ekala takes care of the animals alone, unless we are lucky enough to have a volunteer stay with us. We have a room for volunteers and we provide them vegan breakfast, lunch and dinner. There are two times in the day that my husband and I enjoy alone; in the early mornings, we talk in bed about our new plans and goals for our organizations; our dreams, and our new baby boy that is coming soon. Paul often reads or sings to him through my belly. I love these moments. And before we go to sleep, we talk about crazy things, like flat-earth theory, super heroes, or watch X-Files. Congratulations on your impending parenthood! What sort of parent do you hope to be? I am so happy! I am a very maternal person since I was a little girl. One day, when I was about 10, I found a six-year-old homeless boy outside our apartment and invited him home to eat. He hid inside my room for days, sleeping on the floor and eating whatever I could sneak to him, until my parents discovered him, stepping in to provide for his care until he reached adulthood. 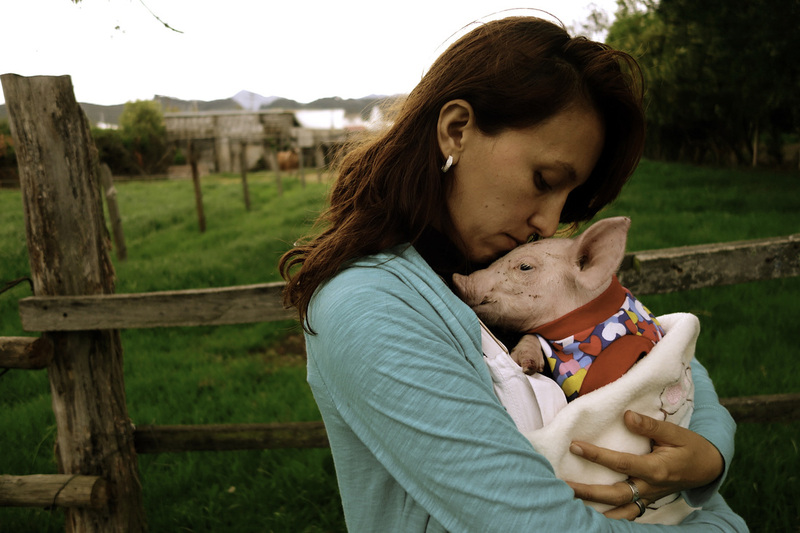 I can't explain it, but with the animals, these maternal feelings grew even stronger. My desire to have a baby started after my 30th year. My husband and I agreed it was a good time. We were scheduled to travel to the Himalayas for my husband's Food Yoga Trek, so we felt it would be a perfect place to conceive a child. It was truly a magical moment as we both prayed for a special soul to come into our family, and I am now five month pregnant! Some days I feel strong like a warrior and am so happy, but then other days I am nervous and full of fear. I don’t think anybody is ready to be a mother or father, but I have good intentions in my heart. I don't know what kind of mother I am going to be. I think my parents did a good job with me, so I want to use the same liberal attitude they used with me to allow my boy to be whatever he wants. "I'm living exactly how I dreamed I would since I was a little girl. 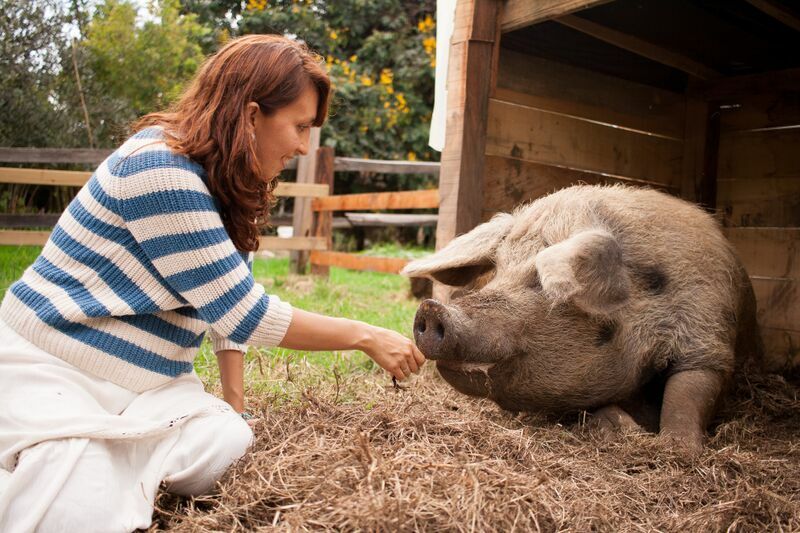 It is often not easy caring for so many animals, but it brings me indescribable joy." Oh, you should see my bathroom. I don't have enough space because it is full of products! As for cream and hair products, I use my own brand! Yes, my aunt Sita and I developed a line of natural, cruelty-free beauty products called Ahimsa Products. They are 100-percent vegan. For skincare, I use Univera’ vegan and aloe vera-based natural products. I also use Body Butter by Deep Steep, Green Tea Peel Off by Montagne Jeunesse, and now I am also using their organic stretchmark belly cream. My personal style is very simple and conservative. I like jeans and I love wearing my Converse sneakers. I love dresses, especially vintage styles. And when it’s a special occasion, I love the 1920s style. But my daily uniform is different, because I am on the farm I have to dress casually, with no consideration for style whatsoever. As long as it is comfortable, that’s all that really matters. I love wearing my open-top overalls though. But I usually just mix and match whatever is available. Music is my medicine and I especially love the Beatles. I also like to walk on grass with bare feet and and talk with my husband about silly things. I like to read when I have time. I love watching movies, but I only enjoy them in the movie theater. At home, I always fall asleep. I enjoy yoga and I especially love bhakti yoga (devotional yoga) and my connection with God through the work I do to protect animals and my private prayers. Sometimes though just playing with a cat or chicken relaxes me. That is not easy to answer. I was born in the Andes mountains so I love any place with mountains, because I enjoy the fresh air; it makes me feel strong and I like the sound that mountains have; their voice is beautiful; it's like poetry. When my husband and I were in the Himalayas in April I was amazed at the natural beauty and majesty of those mountains. One morning we saw the sunrise over the Annapurna range and it was just spectacular. At that moment I began to cry, realizing that there is so much beauty in the world and yet so many people want to just focus on the faults. Maybe they haven’t seen the beauty as I have. I felt blessed that morning. I love avocados, corn, and all kinds of fresh fruits, but especially sapote, mangosteen, and mango. I could eat this food for the rest of my life. Italian cuisine is in my heart, so we often have vegan pasta and pizza, and panzerotti. "When you work from your heart you are sure to be a winner. I am happy that I am doing what I dreamed of. I have the best therapists in the world around me-- the happy animals." 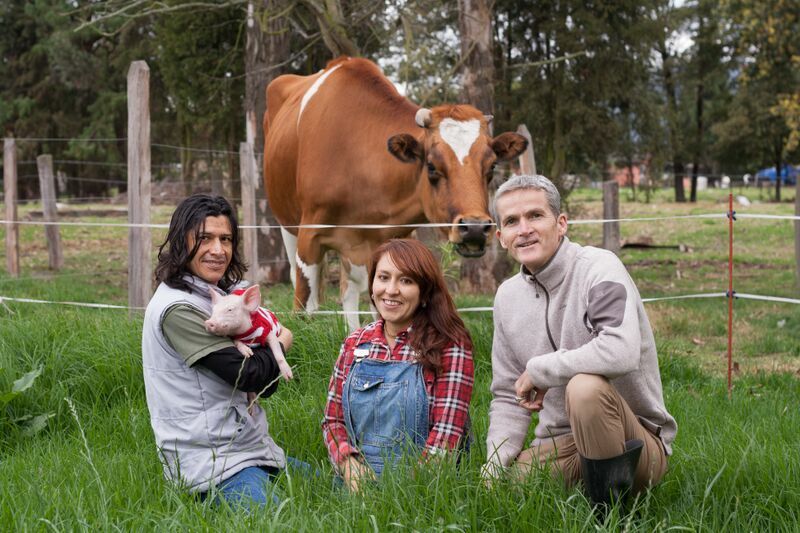 Farm manager Ekala, founder Juliana, and her husband Paul pose on the farm with pig Perla and bull Balarama, who was rescued as an infant. ​What does a typical meal look like at your house? Well, we have two totally different chefs here: my husband is expert in gourmet raw and anything vegan, but especially Indian cuisine, so when he cooks, we always have something raw. He is very fast and spontaneous and usually makes something up on the spot. When I cook, I love my Colombian cuisine, so that means beans, corn, and lots of fruits, and now that I am pregnant, I love to eat many things raw. Oh, I love sweet things, so I have to eat something sweet always, especially mangoes. ​How can people learn more about Juliana's Animal Sanctuary, and what can we do to support your work? People can visit our website at www.julianasfarm.org, or our Facebook page. Or better yet, they can stay with us at the sanctuary and volunteer. Colombia is a beautiful country, full of amazing things to see and taste. It has my favorite weather in the world — not too hot and not too cold, all year round. Anyone is welcome to come volunteer, share their wisdom, and help the animals here. 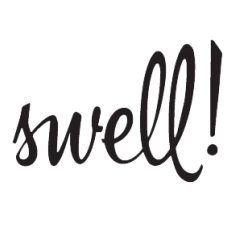 My husband and I teach vegan cooking classes and are hosting a yoga retreat at the end of October. We need both support from volunteers and financial contributions to help us maintain this important work. Colombia is not a rich country, but for seven years, before I met Paul, I maintained this project with my own salary. If I could do so much with my modest salary, can you imagine what I could do with everybody's support? Magic, just magic! ​Support the good work that Juliana and her small team does for animals in Columbia by helping them meet their fundraising goals! Visit their YouCare Compassionate Crowdfunding page here to see how your contribution will help animals.